What if you could have all the benefits of a more efficient company and none of the risk? We know that this sounds too good to be true. However, it can happen for your own company when you learn how to outsource the smart way. 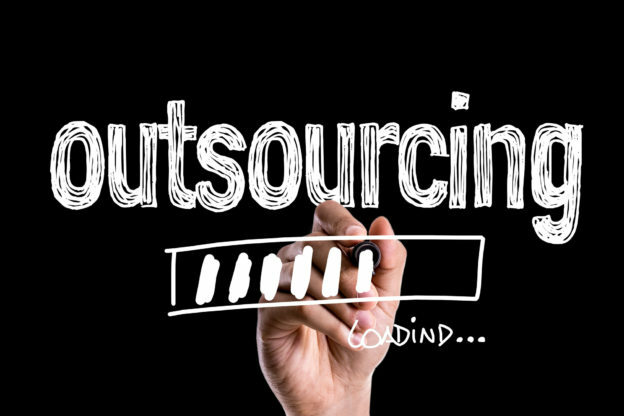 You’ve probably heard some horror stories about outsourcing gone wrong. But we’ve got good news: we put together a comprehensive guide to how you can beat the top risks of outsourcing! Perhaps the most obvious risks of outsourcing are the added cost. Many companies are understandably hesitant to spend additional money on outside teams, especially when the budget may already be tight. To a degree, this is true: outsourcing will always be a higher cost than not outsourcing at all. So how can you beat this particular risk? First, you can shop around until you get the best teams for your money. It’s easy to comparison shop, which can save you money right off the bat. And second, you need to look at outsourcing as an investment. It may have a high startup cost, for instance, but it allows your internal teams to focus on other problems. This makes your whole enterprise more profitable, justifying the costs. Another stereotype of outsourcing is that it creates a language barrier. And it’s true that doing business with a faraway country will increase the odds that no one on your team speaks their language. There are two basic ways around this, though. First, it’s entirely possible to outsource to a team that speaks your language, eliminating this problem entirely. Alternately, you can outsource to a team that has an interpreter or communications specialist. This gives you all of the benefits of outsourcing while allowing you to not sweat over possible language barriers. It’s an open secret that most good managers and CEOs are control freaks. After all, how can you effectively manage other people if you don’t take pride in getting everything just right? Because of this, some people worry about outsourcing meaning a loss of control. All of a sudden, part of your business relies on a team you have never met and cannot easily visit. While it’s true that outsourcing means a partial loss of control, the truth is that this isn’t nearly the problem you think it is. This is because a good outsourced team will be in daily communication with your business, ensuring that everyone is on the same page. Additionally, you need to imagine the outsourced team like any other team. You don’t personally micromanage every division of your business, but you trust the people you hired to get the job done. It’s simple: hire the right team, and they’ll do the job right! Now you know how to overcome some of the risks of outsourcing. But do you know a good company for your outsourcing needs? At AME Solutions, we are the answer to all of your IT outsourcing needs. To see how we can boost your profits, reach out and contact us today!